Blizzard may have a top team of designers working on new Hearthstone cards but nothing compares to the imagination of a child. Check out our list of the best Hearthstone decks for beginners. Twitter user John Tucci tweeted a picture to Blizzard of a Hearthstone card his nine-year-old daughter drew. 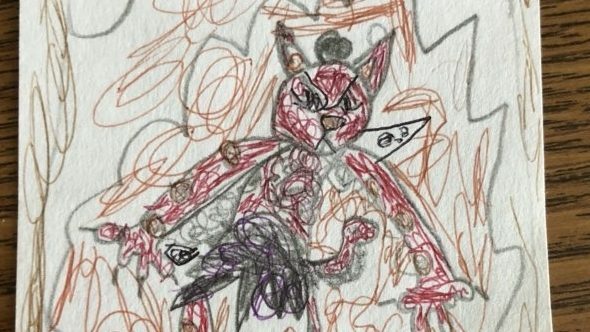 The crayon-drawn card depicts the Leoparden, a cave-dwelling cat-like creature made of fur. This inspired professional illustrator Kate Holden to create a mock-up of what the drawing would look like as an official Hearthstone card. The answer – pretty cool. Even Hearthstone director, Ben Brode, thought so. The Leoparden is pretty over-powered, with 100/100, and is equally as vicious as it looks in the original concept art. We look forward to seeing a Leoparden Hearthstone card in the future (hopefully).